Effective teaching of mathematics facilitates discourse among students to build shared understanding of mathematical ideas by analyzing and comparing student approaches and arguments. 7:30 35 min Which pizza is the better deal? Facilitate meaningful mathematical discourse using Number Talks. What will/did you learn? Anticipate student answers with your team. Notice and note which students used each strategy. I can construct a viable argument and critique the reasoning of others. “Connect Extend Challenge A Routine for Connecting New Ideas to Prior Knowledge.” Visible Thinking, Harvard Project Zero. Leinwand, Steve. 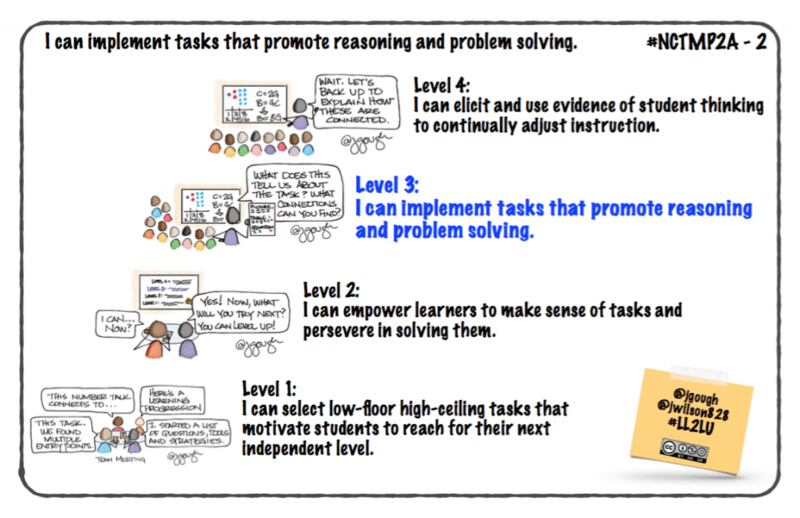 Principles to Actions: Ensuring Mathematical Success for All. Reston, VA.: National Council of Teachers of Mathematics, 2014. (p. 46) Print. Gough, Jill, and Jennifer Wilson. “#LL2LU Learning Progressions: SMP.” Experiments in Learning by Doing or Easing the Hurry Syndrome. WordPress, 04 Aug. 2014. Web. 11 Mar. 2017. Gough, Jill, and Kato Nims. “#LL2LU Learning Progressions.” Experiments in Learning by Doing or Colorful Learning. WordPress, 04 Aug. 2014. Web. 11 Mar. 2017. 8:25 30 min 3-Act Task: How big is the World’s Largest Deliverable Pizza? Flynn, Michael. 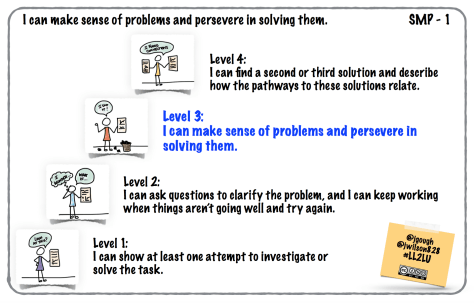 “If My Math Is Correct….” Math Leadership Programs. Mount Holyoke College, n.d. Web. 26 May 2017. Imm, Kara Louise., Catherine Twomey. Fosnot, and Willem Uittenbogaard. Minilessons for Operations with Fractions, Decimals, and Percents: A Yearlong Resource. Portsmouth, NH: Firsthand/Heinemann, 2007. Print. Kaplinsky, Robert. “Do You Have Enough Money?” Robert Kaplinsky. N.p., n.d. Web. 26 May 2017. Reynolds, Peter H. The Dot. Denton, TX: BrailleInk, 2005. Print. How do we deepen, differentiate, and extend learning for the students in our classroom? To develop a plan for sharing, coaching, and teaching grade level members to further equip them with the tools to further gain confidence as a student of math.